How can we create blog posts quickly when we have a small or non-existent content marketing team? 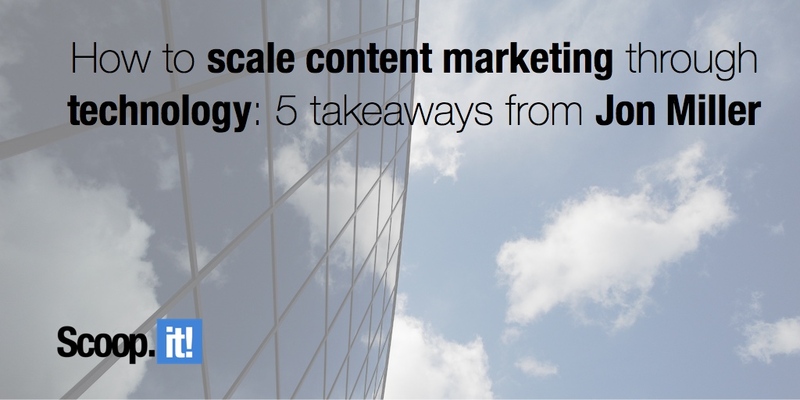 Many marketers today struggle with an acute lack of time and the resources necessary to create content at scale. As recent research from HubSpot shows, consistency is key for driving content marketing ROI. And for a small content marketing team, there’s simply not enough time to do everything. Marketo addressed the first hurdle by creating a contest in which employees were encouraged to participate by contributing blog posts. The incentive? They could earn prizes from submitting their posts. For the second challenge, Jon suggests viewing the marketing team as editors. I personally think this is a great idea that we’ve experienced ourselves, and is especially relevant if you’re in a niche B2B industry: it’s easier to turn the rough draft of a subject matter expert into good content through editing than teaching a great writer all the complexities of your industry. This also applies to recruiting freelance contributors. While I’m not sure this works for startups or businesses that are just getting started (and who may be bootstrapping their content strategy), it’s great advice for anyone who may already have some kind of established audience. It doesn’t matter how small your traffic is: as long as it’s targeted, chances are other companies want to reach out to them too. The key is then to find a common interest and message. On our end, we couldn’t have scaled this blog without the help of many guest contributors (thanks guys! ), so we can attest that this does in fact work. And beyond blogging, this strategy can be applied to other formats as well. We’ve had everything from guest contributors to eBooks and we’ve been running webinars together with partners. Jon is on the board at Scripted, a service that makes it easy to find freelance writers. While outsourcing requires some considerable time investment (preparing and reviewing briefs, editing content, etc.) it’s a great way to scale. If you’re going to be outsourcing on a regular basis, using anonymous writers won’t be sufficient. You may want to invest in building relationships with some specific freelance writers of your choosing, in which case these tips may come in handy. Jon explained how he started by creating a massive piece of content first – an eBook for Engagio consisting of a whopping 124 pages – designed with the intention of “cutting it into blog posts for weeks and weeks to come.” To describe this technique also known as repurposing, content marketing expert Rebecca Lieb draws an analogy that I like: in the same way you’re probably going to carve turkey leftovers for several days after Thanksgiving, you can repurpose epic content pieces into smaller blog posts. This method also works in the reverse: by thinking of your blog posts as a series, you can easily create eBooks by aggregating and repurposing posts on similar topics. For more tips on repurposing, here’s what 5 top marketing experts recommend for making the most out of your content investments. Unlike plagiarism (aka duplicate content), creating blog posts in this way means you won’t be copying the original content but rather linking to it with your own original summary. For concrete examples and a hands-on guide for how to create perfect, curated posts in 15-30 minutes (i.e. a fraction of what original content takes to create), read this post. To conclude, Jon predicted that in 2016, content distribution will become an increasingly important topic: “How do you make sure the RIGHT people actually see and read your content? It’s meaningless to create if nobody will see it.” In other words, content marketing is a cycle and creation is just the first step of the process. The good news is that there are ways to strategically optimize and add value to all stages of your content marketing lifecycle. Share your content on Pinterest directly from Scoop.it!